Colombian artist and sculptor Fernando Botero is known for the exaggerated proportions of his subjects. Using big, round images as both humor and political commentary, his style is so unique that it has become known as Boterismo, and he refers to himself as "the most Colombian of Colombian artists." 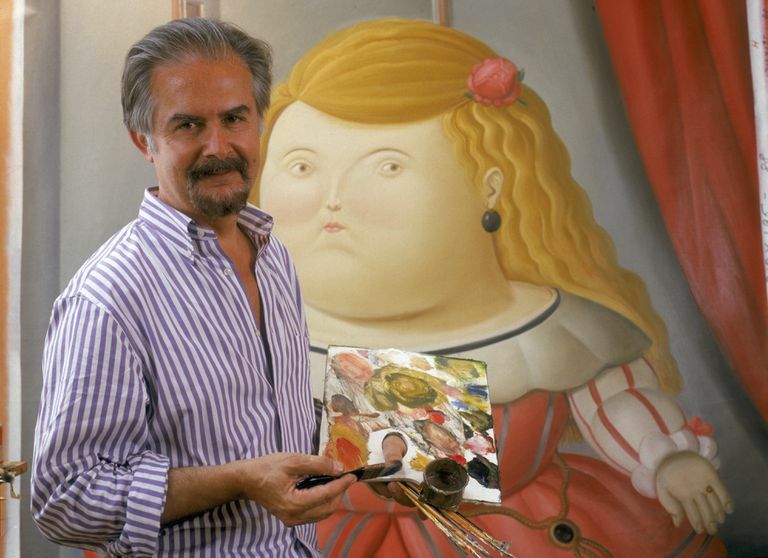 Fernando Botero was born in Medellin, Colombia, on April 19, 1932. He was the second of three children born to David Botero, a traveling salesman, and his wife Flora, a seamstress. 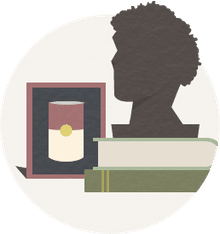 David died when Fernando was just four years old, but an uncle stepped in and played a formative role in his childhood. As a teen, Botero went to matador school for several years, beginning when he was twelve. Bullfights would eventually become one of his favorite subjects to paint. After a couple of years, Botero decided to leave the bullring and enrolled in a Jesuit-run academy which offered him a scholarship. However, that didn't last long—Botero's art presented a conflict with the strict Catholic guidelines of the Jesuits. He got in trouble frequently for painting nudes, and was ultimately expelled from the academy for writing a paper in which he defended Pablo Picasso's paintings—Picasso was an atheist who was somewhat obsessed with images depicting Christianity in a way that was seen as blasphemous. Botero left Medellin and moved to Bogotá, the capital of Colombia, where he finished his education at another art school. His work was soon displayed in local galleries, and in 1952, he won an art competition, earning enough money to get him to Europe. Settling in Madrid for a time, Botero earned a living by painting copies of the works of Spanish masters like Goya and Velásquez. Eventually, he made his way to Florence, Italy, to study fresco techniques. "Nobody ever told me: 'Art is this.' This was good luck in a way because I would have had to spend half of my life forgetting everything that I had been told, which is what happens with most students in schools of fine arts." Botero's unique style of painting and sculpting bullfighters, musicians, high society women, circus performers, and reclining couples is characterized by rounded, exaggerated forms and more than disproportionate volume. He refers to them as "fat figures," and explains that he paints people in large sizes because he simply likes the way they look, and enjoys playing around with scale. Many of Botero's sculpted works appear in street plazas in his native Colombia; there are 25 on display as part of a donation he made to the city. The Plaza Botero, home to the large figures, is located outside Medellin’s contemporary art museum, while the museum itself houses nearly 120 donated Botero pieces. This makes it the second largest collection of Botero art in the world—the biggest is in Bogotá, at the aptly named Botero Museum. In addition to these two installations in Colombia, Botero's art appears in displays all around the world. However, he considers Colombia his true home, and has referred to himself as "The Most Colombian of Colombian Artists." When it comes to paintings, Botero is incredibly prolific. Over the course of his sixty-plus-year career, he has painted hundreds of pieces, which draw from a diverse array of artistic influences, from Renaissance masters to abstract expressionism. Many of his works contain satire and sociopolitical commentary. Botero's work has occasionally gotten him in trouble. Pablo Escobar, also from Medellin, was a drug cartel lord in the 1980s, before being killed in a shootout in 1993. Botero famously painted a series of images called La Muerte de Pablo Escobar—the death of Pablo Escobar—which didn't go over well with those who saw Escobar as a folk hero. Botero had to flee Colombia for a while for his own safety. "Anti-American it's not... Anti-brutality, anti-inhumanity, yes. I follow politics very closely. I read several newspapers every day. And I have a great admiration for this country. I'm sure the vast majority of people here don't approve of this. And the American press is the one that told the world this is going on. You have freedom of the press that makes such a thing possible." Now in his eighties, Botero continues to paint, dividing his time between Paris and Italy, in the homes he shares with his wife, Greek artist Sophia Vari. Baker, Kenneth. “Abu Ghraib's Horrific Images Drove Artist Fernando Botero into Action.” SFGate, San Francisco Chronicle, 19 Jan. 2012, www.sfgate.com/entertainment/article/Abu-Ghraib-s-horrific-images-drove-artist-2620953.php. "Botero's Sculptures Around the World.” Art Weekenders, 14 July 2015, blog.artweekenders.com/2014/04/14/boteros-sculptures-around-world/. Matladorre, Josephina. “Fernando Botero: 1932-: Artist - Trained As Bullfighter.” Review, York, Scholastic, and Press - JRank Articles, biography.jrank.org/pages/3285/Botero-Fernando-1932-Artist-Trained-Bullfighter.html. Why did Colombia and Peru go to War in 1932?